We’re looking for motivational and enthusiastic volunteer groups to assist at this year’s Admiral Swansea Bay 10k Race. Volunteers play an essential role in the safety of runners and the all-important atmosphere of this great race. If you have a spare few hours, or if you are unable to run but would still like to take part, this is the perfect opportunity. The Admiral Swansea Bay 10k is one of the best 10k’s in the UK and is set along the beautiful sweep of Swansea Bay. The event has a fantastic atmosphere that wouldn’t be possible without the volunteers. It’s also a great way to gain race event experience and volunteering always looks good on a CV! Plus, you’ll be a part of an amazing day and meet some inspiring people that get involved year after year. If that’s not enough, you’ll also receive a commemorative T-shirt along with a goody bag and refreshments on the day. Any groups can apply. The main representative of the group must be 18 years and over. 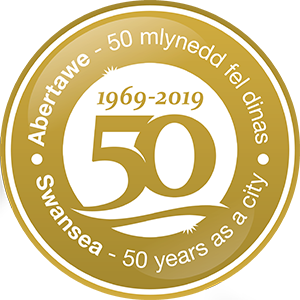 The Admiral Swansea Bay 10k race organisers will provide you with refreshments and a commemorative t shirt during your shift but unfortunately, any other expenses incurred by you will not be reimbursed. Please bear this in mind when registering interest or applying for a position. Please call 01792 635428 or email special.events@swansea.gov.uk to express your interest. Please indicate which type of role your group would like to do. If you are successful, we will be in touch with regular email updates and a briefing note, explaining your role on the day. All volunteers will also be expected to attend a briefing meeting prior to race day (date to be confirmed). If you have any questions prior to this, please contact us.